If you are looking for a quality VA for your short / long term works such as Data Entry works, Typing works, offline works, blogging or etc. So I guess you are at right place. 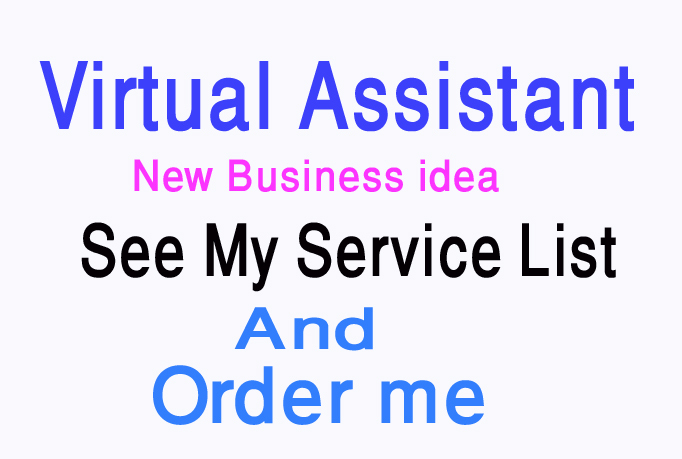 In this service I can do any type of work or in simple I will be your VA for a precise time depending upon the work. >Fast internet connection with decent typing speed. >Social Media Marketing (Facebook, Twitter, Linkedin, etc). >YouTube like , Comment, Subscribe etc. >Copy paste for Website to Word, Excel. >Copy paste for Blog to Word, Excel. -Copy paste for PDF to Word, Excel. >Microsoft Word / Excel document editing or creating from PDF. Why you have chosen me? I can do as your virtual assistant is ranked 5 out of 5. Based on 12 user reviews.